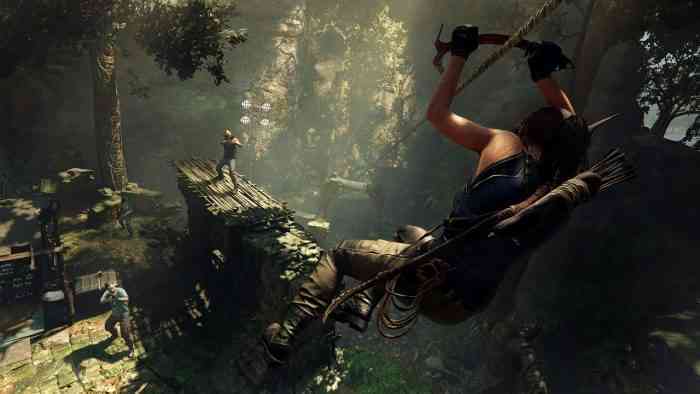 Three titles into a trilogy and dozens of games into a franchise carried by one of gaming’s most adored protagonists, if this is the culmination of Lara Croft’s origin story, we can ask for nothing less than an action-adventure experience worthy of the name. 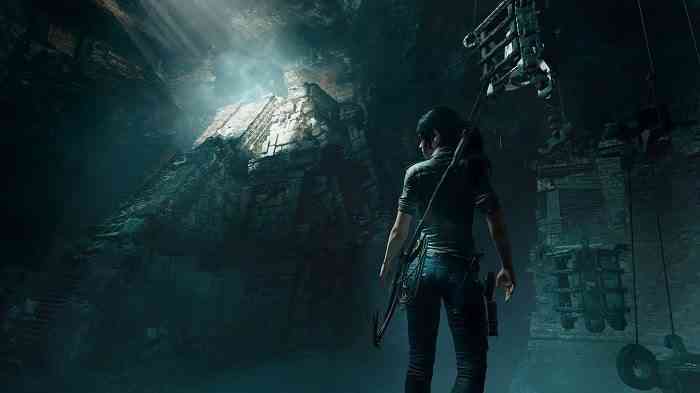 So, how does Shadow of the Tomb Raider conclude the journey Crystal Dynamics started in 2013? In the dark… as cryptic and appropriate as that sounds. Shadow of the Tomb Raider is the story of an intrepid scholar in her prime. Still haunted by the loss of her family, she’s led into the heart of Central America, where we face another bout against Trinity and a villain steeled by conviction in his cause. 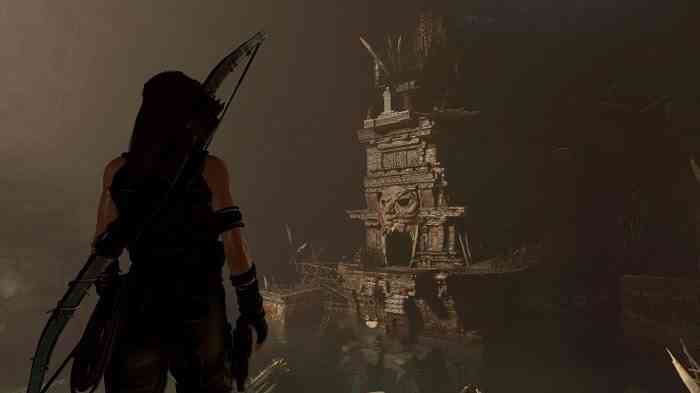 The other villain is Lara herself, whose interactions throughout the cinematic showcase illustrate her constant need to grow and gain wisdom, whether in facing down armed militants or tapping into her humanity. A few elements of the plot and story points will tickle your suspension of disbelief, but Camilla Luddington’s performance as Lara Croft, again, keeps things grounded. Though the jungle is untamed, character interactions dot the landscape of this game. There’s more dialogue in this entry than any in the series, meaning more one-on-one time with Lara and communities like Paititi. People are the standout feature of this particular title, and you’ll extract many secrets from encounters on the road. The NPCs reveal treasure locations, hunting grounds, and offer unique rewards for jobs of every difficulty. They’re a few gathering materials shy of fetch quests but are interesting for the most part. Perform too many side quests in a row, however, and the game starts to feel slow, even boring. Some reward items are better than others, but not all of them compensate for the sluggishly paced missions. Thanks to some tweaks from developer Eidos Montreal, the movement is far from sluggish and navigation is robust. The map is laden with exploration opportunities, perhaps too many. In order to get around, we’re reintroduced to Lara’s classic toolset and dexterity. We’ve got the trusty pickaxe, the bow, and the wit, more of the same to help fans feel at home. In addition, we can now swing and rappel into Uncharted territory using rope. Awful puns aside, the vertical traversal mechanics leave less of a streamlined approach. You have to stop and think about whether you’re supposed to jump to another ledge or rappel downward or pivot mid-air, which makes the control scheme feel clunky at times. In fast-paced circumstances, the confusion surrounding so many mechanics leads to death. Practice makes perfect, but the camera work doesn’t always point you in the right direction, and it doesn’t help that the white navigation markers are obscure. Fortunately, the difficulty of combat, puzzles, and exploration can be modified at the main menu. Swimming is another new feature, and now the common method of reaching unknown areas. In and of itself, underwater travel entails new dangers and discoveries. One danger you’ll discover is that the water in that ravine is not swimmable after you fall to your death. Fortunately, the ruins you do find beneath the surface are captivating and littered with curiosities. Careful not to explore to your heart’s content, though – When you’re not pounded by the warning of asphyxiation, you’re harassed by eels and piranhas, all of which prick your anxiety when cramming into underwater crevices. Inevitably, you must reconcile between treasure-hunting and becoming fish food. If you’re visiting the depths solely for the visceral experience, you won’t be disappointed. 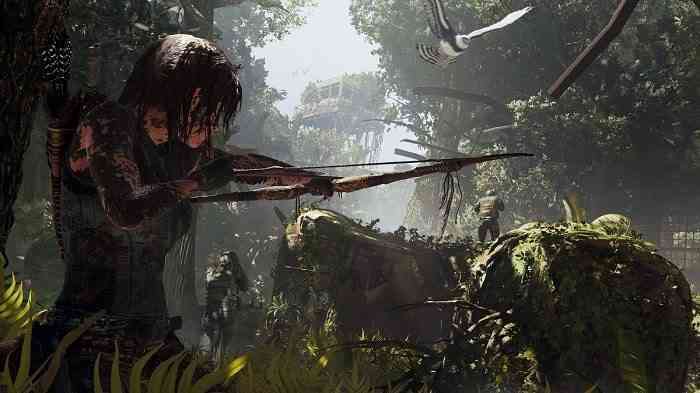 Up and down the Amazon, Shadow of the Tomb Raider is the most stunning Tomb Raider game to date. Green jungles, blue lagoons, and dark cavities bolster amazing resolution and detail. Compared to the shores of Yamatai and the Ukrainian peninsula, the tropical rainforest paints a broad spectrum of lush and colorful terrain, ideally suited for a graphical upgrade. Set pieces range from vibrant vistas to rustic ruins and murky underworlds. Brilliant lighting under the canopy illuminates a stark contrast to the subterranean crags, and when the god rays disintegrate, you understand why “Shadow” is in the title. This has to be the darkest game of the franchise, literally. I mean, there are pitch black corridors where you can barely see a few steps ahead. Coupled with eerie sound design, this game’s underworld exploration is creepy and downright scary at times. Decayed skulls, spikes, ruins, and random snarls in the dark gradually build toward jump scares executed to full effect. Frightening as they may be, more often than not, the most condensed spaces serve as the gateway to tombs. 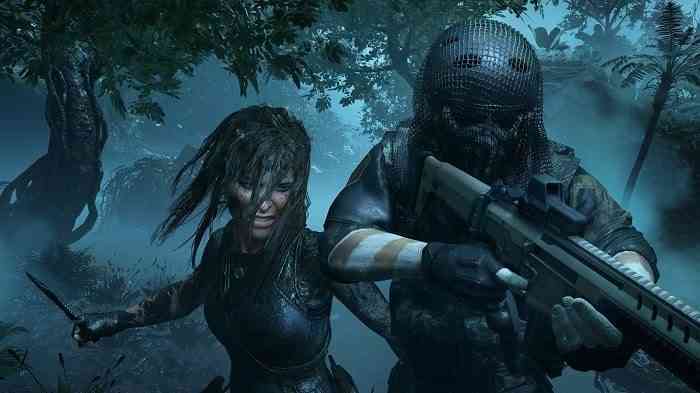 Like Die Hard, tombs in Shadow of the Tomb Raider are back with a vengeance. There is a total of nine Challenge Tombs, many of them situated in cavities that appear inspired by Lord of the Rings and with enough real estate to hide a Balrog. Booby traps are the least of your worries since there’s everything from bizarre mechanisms to carnivore-infested mazes. With a few exceptions, the danger escalates at every turn of a puzzle. 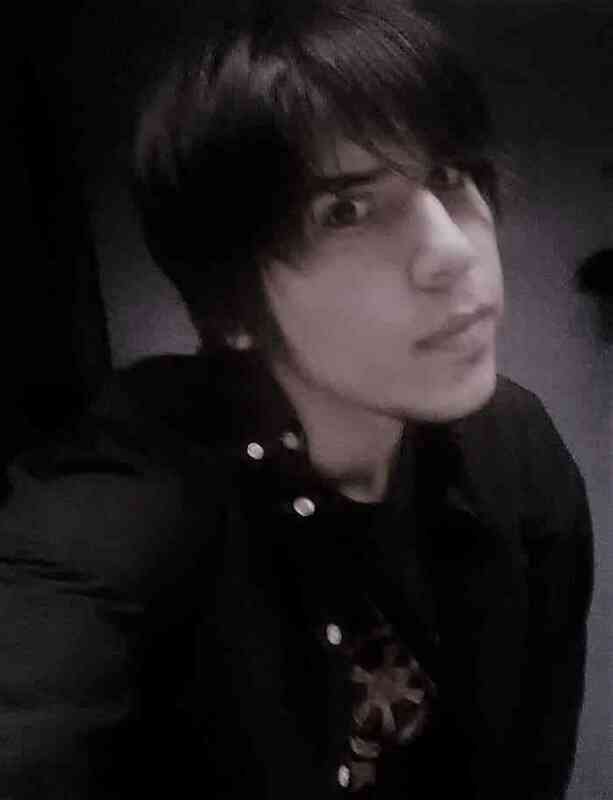 No two puzzles are the same, which leaves you clueless from one tomb to the next. Three games into the series, I was pleasantly surprised by Eidos Montreal’s fresh and complex puzzle design. And the rewards are nothing to scoff at either, each adding a huge skill boost for long-term success. Accounting for tombs and crypts, players will spend a considerable timeframe immersed in darkness. Therefore, you may want to invest plenty of skill points in the Seeker skill tree. Progression this time around comes with a bigger skill tree, and I can’t help but admire the utility behind each perk and ability. There being so many, players must think carefully about how they allocate points. Do you want easier exploration or to rake in the materials? Maybe you want to invest in skills unique to this installment, such as the new consumables. New benefits come in the form of plants: Focus, Perception, and Endurance. Together, they make the jungle easier to navigate, increase resilience, and make Lara more effective in combat. Without a doubt, investing in all three plant abilities is better than investing all points in the Warrior skill tree. By the second act of the story, I realized that Shadow is front-loaded with combat, which startled my expectations. To the detriment of engagement and pacing, the attention to set pieces and puzzle design is never paralleled in the war against Trinity, and contrary to the game’s marketing, combat takes a backseat to RPG-like interactions and exploration. Fights occasionally sprouted across the story mode, a few side quests, and a few Challenge tombs, rounding out nearly 15% of my playthrough. 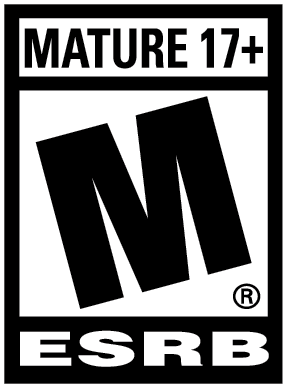 No other game in the series left me so hungry for action, exasperated when cutscenes teased major skirmishes that lasted 60 seconds or never happened. With action that feels awfully neglected, the Warrior skill tree feels hollower than the tombs. Lara’s aggressive new abilities are neat but don’t justify the skill points. The focus on her inner conflict, the crux of the story, overrides the trope of the big bad militant force with a dour bottom line. While there’s nothing wrong with that, the new narrative elements sacrificed gameplay that made Tomb Raider 2013 and 2015 so riveting. It’s still there, but it’s been cut back. My time spent collecting information and speaking to strangers filled anywhere from a third to half of a playthrough that lasted roughly twenty hours. I enjoyed the story well enough, I’m as in love with Lara as ever, and I derived a sense of closure from the game’s conclusion. Disheveled pacing and the saturation of NPC dialogue; however, distorted my satisfaction. I don’t feel like I earned the ending I got, and I believe fans who traversed all three games are going to feel a bit shortchanged by the final cutscene. Despite captivating set pieces and a sentimental journey with Lara, my engagement took a dive at several intervals, and my pendulum of investment too often fell on the fringe of excitement. A few missing puzzle pieces leave a good experience in the place of greatness.